Click here to meet the CS Team. If you have any queries, comments or problems with your tombola account, there are lots of ways for you to get in touch. Our friendly UK based Customer Services team are here to lend a helping hand and deal with your enquiry promptly, the team are available 24/7. Click here to get online support from our team instantly. Average response time 4 seconds. Freephone - We aim to answer your call in 8 seconds. [email protected] - we aim to reply within 4 hours. If you wish to play the games straight away you’ll need to deposit money using your debit/credit card/PayPal account. Deposit today and claim £20 FREE! Simply deposit £10 and you'll get £20 FREE! Login with your username and password and select 'My Account' and click on 'Credit Account' and enter the amount you wish to deposit. Money will be transferred from the debit/credit card you set up during registration. If you have set up a PayPal account click 'Credit Account' and enter the amount you wish to transfer then click submit. You will then be transferred to PayPal to confirm the payment details. Log in using your PayPal email address and password, and confirm the payment by clicking 'Pay Now'. Funds will be transferred to your tombola account immediately, and you will be redirected back to tombola. You can deposit money using your debit/credit card. We accept the following: Visa, MasterCard, Delta, Maestro/Switch and Visa Electron. Alternatively you may wish to transfer money using your PayPal account. You can register a maximum of 4 payment methods on your account. Please note we do not accept American Express. The reason for this is usually something very simple, like a change of address or information entered incorrectly. It simply means our records need updating. Contact our Customer Services team and we will get you playing in less than 5 minutes! If it’s your first deposit with tombola don’t worry a member of our friendly Customer Services team will give you a call to help resolve any issues. The minimum amount you can deposit is £10. The maximum amount you can deposit into your account at any one time is £500.00. We will not allow any deposits if your account holds £250.00 or more. You cannot deposit more than £500 a week. Your security is guaranteed. We have secure-server software that encrypts all of your personal details including your card number. The information you submit to us is transmitted securely through your browser and our server. To ensure both servers are communicating effectively we have an SSL certificate from GeoTrust the online security leader (a VeriSign company). If using PayPal as a payment method you can send and receive money online without sharing your financial details with tombola. PayPal have an encryption system that will protect your personal details. All payments take place in the trusted secure environment, which is indicated to you with the padlock icon in your browser. security question - what is this? This is an additional measure of security to confirm your identity and prevent anyone else from accessing your information. do I receive any bonus money when making my first deposit? Yes, you'll receive a 200% welcome bonus on your first deposit up to a maximum of £25! Deposit £10-£25 and you'll get £20-£50 FREE. You'll then have £30-£75 to play with on tombola. I'm a new user what should I do first? Our games are so easy to play and follow, that they only take minutes to pick up. You can also try reading the How to Play for each of the games. If you have a problem setting up your account, don’t worry a member of our friendly Customer Services team will give you a call to help resolve any issues. No, only one account is permitted per individual. This account can be used to access both www.tombola.co.uk and www.tombolaarcade.co.uk. We reserve the right to close multiple accounts opened by a single player, as this is a breach of our Terms and Conditions. do I have to be a certain age to play tombola? The games are only open to those aged 18 years or over at the time of registration and are open to any eligible person residing in the UK or in a country where the games are permitted and lawful. It is your own responsibility to find out if it is legal to play in your jurisdiction. Any participation other than that permitted is void. why does it ask me for debit/credit card/PayPal details? In order to play and chat you will need to deposit money into your tombola account. You can supply this information when registering. You can deposit money using your debit/credit card or PayPal account. how can I register for a PayPal account? When registering your details it will ask you to use your debit/credit or PayPal account to deposit money. Enter an amount you wish to deposit in the PayPal section and click submit. This will then take you to the PayPal site where you can click "Create a PayPal account" and follow their instructions on setting up a PayPal account. We don't have any free games but you can play bingo Lite from just 2p and our daily game Worlds costs just 1p to play each day. Keep your eyes peeled for promotional games too! I can't play Worlds, Hamster Race or tombola Roulette - why? You can only play Worlds, Hamster Race and tombola Roulette with real money that you have deposited. Players with ONLY Bonus Money or promotion funds in their account are unable to play Hamster Race or tombola roulette. In order to play you must first make a minimum deposit of £10.00. You can play all other games using tombola bonus money and promotional funds. why is my bonus balance not decreasing/being used? For any bet placed, funds are deducted from the player’s Cash Balance. If no cash is available, then the wager is deducted from their Bonus Balance. Therefore the Bonus Balance is only played if there is no Cash Balance. We have over 30 chat rooms. They are a great way to chat to players about the game and things in general. To post a message in the chat room simply enter the text into the blank box and click Send or press Enter. Chat Moderators (CM) monitor the rooms 24/7 and ensure a safe environment for players. A chat moderator will have the letters CM before their name and their username and text will appear in red so they are easily identifiable to players. They will also run quizzes and award prizes (bonus money), click on the 'Chat' link at the top for more information. what time are the cinco rooms open until? Marrakech will open at 8am and close at 2am each evening. Istanbul will open at 8pm and close at midnight each evening. Rio will open at 8pm and close at midnight each evening. Shanghai will open at 8am and close at 2am each evening. Mandalay will open at 8am and close at 2am each evening. Cairo will open at 8am and close at 2am each evening. Miami will open at 8pm and close at 12 midnight each evening. Naples will open at 8pm and close at 12 midnight each evening. Havana will open at 4pm and close at 12 midnight each evening. 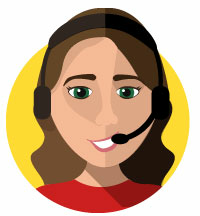 Our friendly in-house Customer Service Team are here to lend a helping hand, via telephone, email or live chat 24/7. We aim to answer your call within 8 seconds and emails within 4 hours. FREEPHONE: Freephone 0800 29 888 73 from a landline or mobile. In the My Account section you can view your transaction history, which informs you of all deposits, and withdrawals you have made. It will also provide you with a list of the games you have played, including the date and time they were played and what you won. what is the maximum I can withdraw? Should your withdrawals accumulate to more than £2,000 since you joined tombola and have not previously provided ID, we will also request ID in order to process your withdrawals. The quickest way to send your ID is to visit ID upload -this function allows you to upload ID from your computer or device directly to our customer support team. We will review your ID and get back to you within 4 hours. Depositing Players: Click on 'My Account' and 'Withdraw Cash', enter the amount you wish to withdraw. A withdrawal can be requested to your current registered payment method or cheque if your current payment method is a card. Card withdrawals take 3-5 working days. Cheque withdrawals take 3-5 working days. Please note: If a player withdraws over £2000 they will need to provide one form of identification. This can be uploaded via my account, emailed or posted. Non depositing players: If you have only played with Bonus money and won, funds can be withdrawn immediately via cheque. Winnings can be used to play our pay to play games, to do this you must first register a valid debit/credit card or your PayPal account to make a deposit. Under current UK law, all tombola winnings are tax-free. We are under no obligation to report any amount that any player wins. However, should you have any queries we recommend that you consult with either an accountant or your local tax office to confirm the tax position on your win. can I keep my winnings online in my personal account? Yes you can. You can keep any amount of winnings in your secure account and you can withdraw funds at any time you wish, providing you have a minimum of £10.00 in your account. how long will it take for money to be transferred into my PayPal account? Withdrawals from your tombola account into your PayPal account will take up to 72 hours to process. how long will it take for money to be transferred from PayPal into my tombola account? Money will be transferred into your tombola account immediately. If you have Flash installed the answer is a simple no! You get all the fun without the hassle of additional downloads. Our games use the Flash player from Adobe (free). Make sure you have the latest version of Flash for your browser by visiting http://www.adobe.com/shockwave/download/download.cgi?P1_Prod_Version=ShockwaveFlash. You may need to restart your computer once installed. Also, if you have a pop up blocker then it may be stopping the game window from appearing. Please allow pop ups from www.tombola.co.uk. A common way of overriding a pop up blocker is to hold down the control key and then click the Play Now link. If you become disconnected during a game, the game will be played for you by our bingo servers. Should you be a winner your account will automatically be credited. If you become disconnected during a game on www.tombolaarcade.co.uk you may be required to re connect to complete the game. If you have any questions please contact our Customer Services team. FREE game - simply go back and play again. You will be shown the game you started when you return. I referred a friend and they are now playing, but I have not received my £20 bonus? Before you receive your £20 playmate bonus, they need to spend £20 (not bonus money) on tombola. Once they've spent £20 (not bonus money) we'll send you an email to confirm the £20 playmate bonus has been credited to your tombola account. If you're not subscribed to tombola emails then you'll not receive an email, you can however change this so you receive a playmate alert. They may have entered your username incorrectly whilst registering. Ask for them to check the spelling of your username. If there is an obvious spelling mistake Customer Services will change this for you. my playmate has stopped playing - can I change it? You can't change your playmate. The playmate is fixed and can only be changed if there is an obvious mistake like a spelling error. how many people I can invite to play? You can invite as many people as you want, there's no limit to the amount of people you can invite. my friend won more than £20 on the free game and I never received a bonus - why? The free game is not part of playmates. Therefore no bonus money will be awarded as a result of prizes won on the free game. tombola continually monitors to ensure games are fair, honest and consistent with the game rules and our terms and conditions. All results on tombola are randomly generated and cannot be predetermined - we use an industry standard Random Number Generator (RNG) to determine the outcome of each game. Whatever the customer has bet on or the amount they have staked has absolutely no influence whatsoever on the number the RNG arrives at. Click here to view the latest RNG and games certificate. tombola believes that gambling should be an enjoyable pastime for adults. However, we are aware that, for a small proportion of people, it can become a problem. tombola (international) plc is working closely with Gamcare to ensure that we operate in a socially responsible manner. If you would like any help or advice, click the links below to find out more about these organisations. For all of the above - see 'My Account' and 'Play Responsibly', or contact our Customer Services Team on 0800 29 888 73, who will be happy to help.